I used to call it ‘Dartmoor tummy’ but expedition anxiety isn’t just limited to leading youngsters on Dartmoor (although that does bring with it a fair amount of worry). 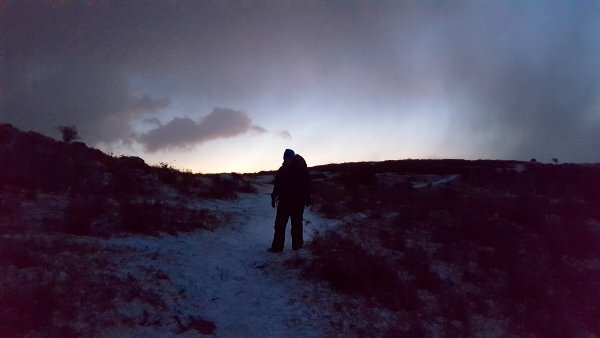 Expeditions, whether it is a one day walk up a hill, a 2-hour section of the South West Coast Path or a multi-day wild camping trip, can bring with them a certain amount of concern, even if you do them all the time. If you get the same kind of feelings, some emotional, some physical, most downright inconvenient, this week’s Tuesday’s Ten might help you to avoid expedition anxiety. Planning is a great way to deal with ‘what if’ based anxieties. You won’t be able to cover all eventualities but, if you do your planning properly and include route, equipment, nutrition and emergency procedures, a fair proportion of your worries can be put to bed. 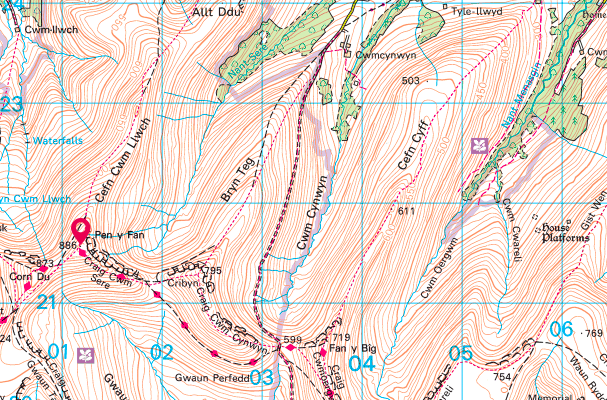 In the good old days, back when everything was black and white, visualising your route meant studying the map and imagining yourself walking up and down the contour lines. We would still recommend this as an important navigation exercise but, if you are inexperienced or love your technology, there are mapping apps out there such as OS Maps Ariel 3D that do a great job of showing you exactly what your route is going to look like and even fly you through it. Being anxious about an expedition is natural and one way of recognising (and minimising) any risks involved. However, some of us (myself included) have a tendency to demonstrate anxiety as an excuse for avoidance. Being honest with yourself about this will help you to deal with it. The closer you get to your departure, the more your anxiety is likely to disturb your thought patterns and cause you to forget things. By making lists early on, you will sort out some of your bigger concerns well before the date. This one might sound silly but, if you have packed your rucksack twice, you will be reassured that everything you be able to visualise where everything is packed and be able to reassure yourself that it is there. You can’t pack everything to soon before you set off on your expedition, sausage rolls, favourite hats and phone chargers all need to go in at the last minute. Deal with any possible overnight anxiety by writing a list of these items as they come to you and putting it somewhere obvious. These days you can find the answer to any route, packing or safety question online. This is a two-edged sword as not everybody is as expert as they like to sound. However, if you listen to only trusted sources and check online information on 2 or 3 sites, you will find the answer to some of your anxieties. There is no substitute for talking an expedition (even if it is only a day walk) over with somebody who knows the peculiarities of that particular area. Seek advice from local visitor centres, National Park Rangers or even the staff in the local outdoor shop. Gather as much information as you can and you will be the one who knows which bridge is out or the best route to the summit. Don’t ever be afraid to admit to nerves. They are a natural extension of a cautious nature and caution is not necessarily a bad thing when you are out in the elements. By telling your companions how you are feeling you will be giving them the opportunity to help and also to voice their own fears should they have any. This is a Blonde rule that doesn’t really work because somebody clearly has to take the first navigation leg out of the car park. In our experience, however, this is not the leg you want to be navigating if you are feeling a bit nervous as walking wrong way out of a car park is pretty easy. If you can, let somebody else get you out onto the hills but don’t just follow, have a map and compass in your hands and take the time to get your bearings (both literally and figuratively).